Don your hiking boots, grab your binoculars, and get ready to survey the landscape of knowledge! Princeton University Press’s first female director, Christie Henry, combines her passion for writing and the sciences into three timely and thought-provoking lectures. 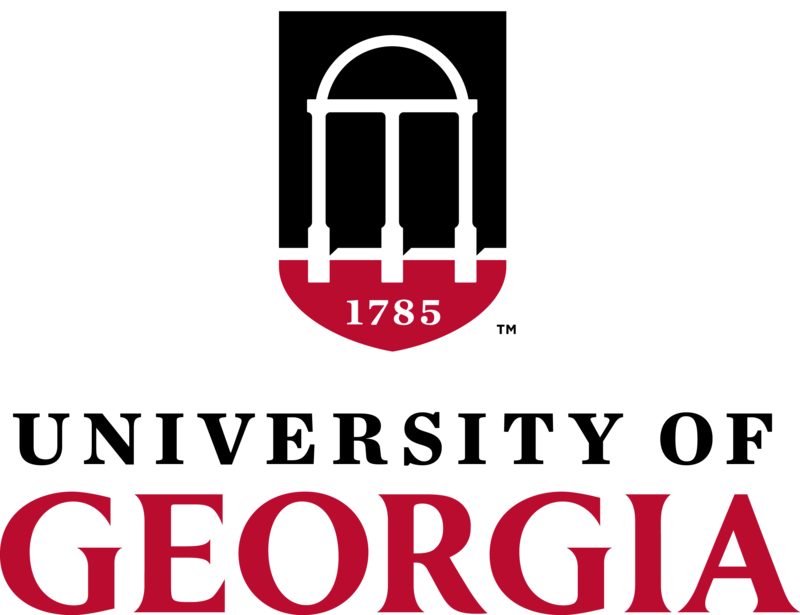 On Friday, February 9th, Henry will present a lecture and two workshops at the University of Georgia which will seek to connect writers and scholars to the public world of writing beyond the university. In her first lecture, Henry compares the threat of climate change to the threats facing books and knowledge in today’s information ecosystem. Faculty and students will learn how ideas evolve through the stages of research, teaching, and publication. Register to attend “A Field Guide to Books and the Ecosystem of Ideas” at: https://ugeorgia.qualtrics.com/jfe/form/SV_55tREc1OuSyni0R. Henry’s second presentation moves from print to digital texts. She will discuss how fake news and short-attention spans act as invasive species in the digital landscape of communication and threaten the vitality of the ecosystem of knowledge. Henry articulates how teaching, writing, and publishing can bolster the thought process, providing nutrients to ideas and communication within this ecosystem. Henry invites participants to consider what the digital mean for writing in the higher-education curriculum and in academic careers. Register to attend “On Writing as an Essential Nutrient in the Ecosystem of Knowledge” at: https://ugeorgia.qualtrics.com/jfe/form/SV_0MyVjGxeYdYC2vH. Henry’s final event focuses on academics writing for the public and is aimed at faculty considering writing for general audiences. The trade book’s purpose is to enlighten, educate, and endure in ways that interest the public. Drawing on topics presented in her first lecture, Henry advocates for the book’s purpose: to fortify scholarship by cultivating a new species of readers to combat an era of severe climate threats to knowledge. Register to attend “In Search of Charismatic Species (and Authors): How to Write Books for General Readers” at: https://ugeorgia.qualtrics.com/jfe/form/SV_2hmaM90GFyawrDD/. 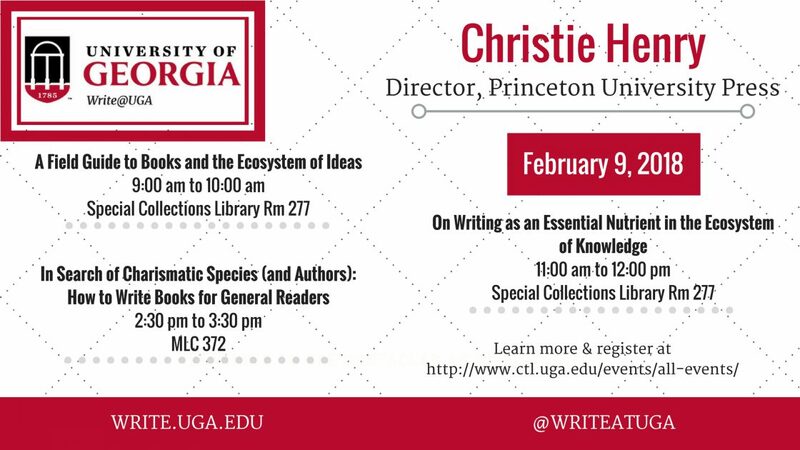 Christie Henry’s presentations are being brought to you through Write@UGA, a collaboration between the Center for Teaching and Learning, the Department of English, Franklin College of Arts and Sciences, Faculty Affairs, UGA Press, the Office of the Vice President for Instruction, and the Office of the Vice President for Research. The Writing Intensive Program, the Writing Certificate Program, and the CTL’s Writing Fellows Program are serving as administrative sponsors. ← Write@UGA Blog Carnival 2018!